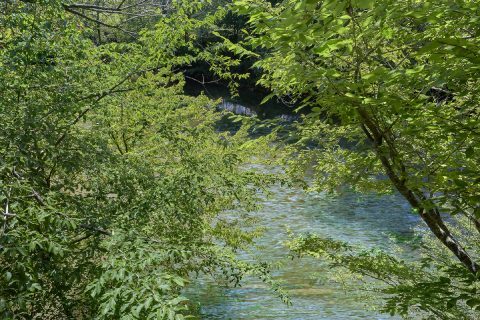 Come experience "River Rush" in beautiful Sevierville, TN in the Smoky Mountains with your sweetheart for a honeymoon or romantic vacation you won't soon forget! This cozy cabin boasts a nice view of the river in a peaceful spot in the Smokies, so it's ideal for spending quality time with your loved one. 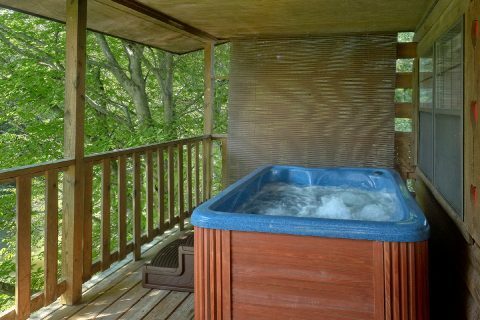 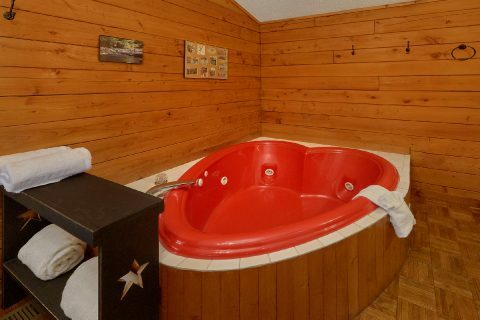 Better yet, this riverside cabin provides romantic amenities like a deck with a hot tub, a cozy fire pit for crisp autumn nights, a heart-shaped jacuzzi tub, and a large stone electric fireplace for enjoying a nice evening at your cabin. 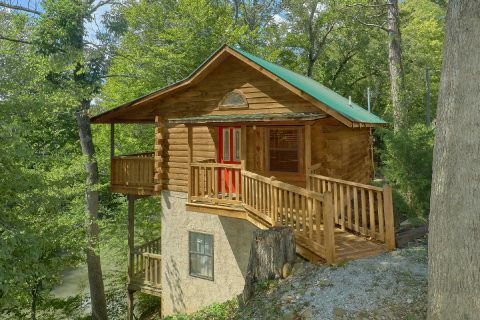 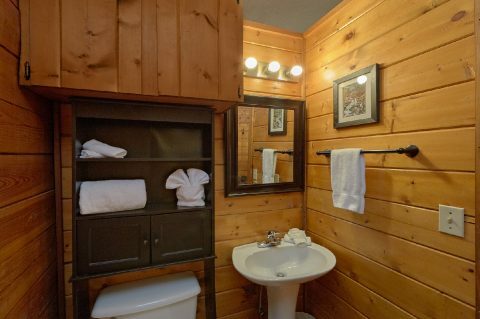 Better yet, this affordable cabin with a river view keeps you close to attractions in Pigeon Forge and Gatlinburg like Dollywood and the Great Smoky Mountains National Park. 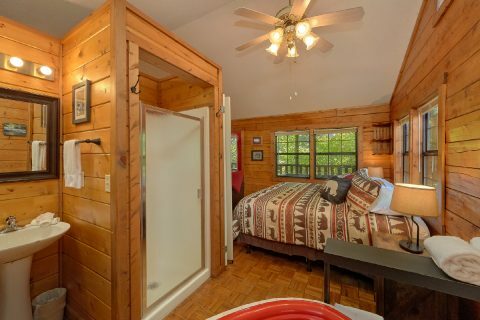 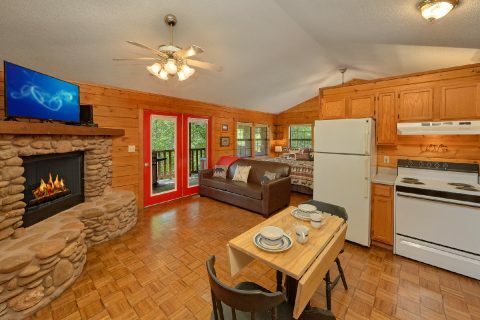 After a great day spent exploring the Smokies, you can look forward to relaxing in this cabin's studio-style floor plan. 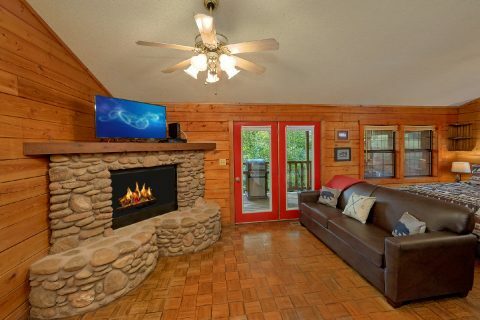 To take in your cabin's lovely location, simply step outside to your cabin's deck to take in the sights and sounds of your spot on this Smoky Mountain river or roast some marshmallows around the fire pit. 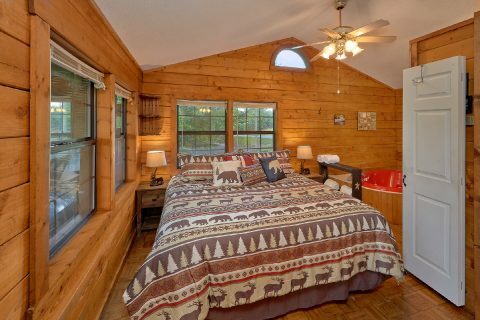 Once it's time to get some rest, this cabin provides you with a king-size bed and a sleeper sofa to accommodate an extra guest. 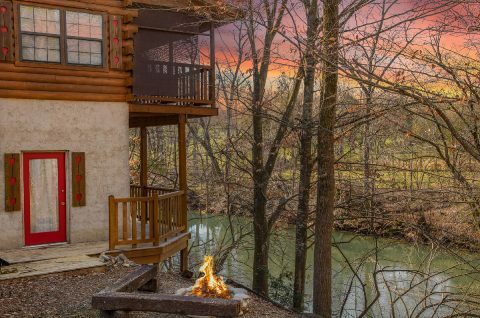 Altogether, "River Rush" sleeps up to 3 vacationers in comfort. 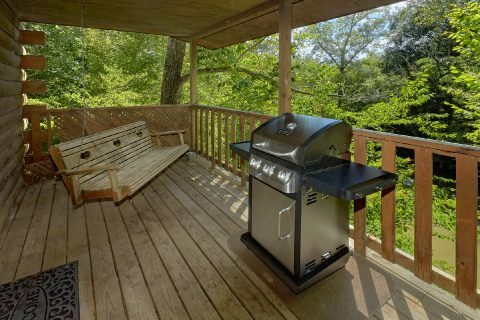 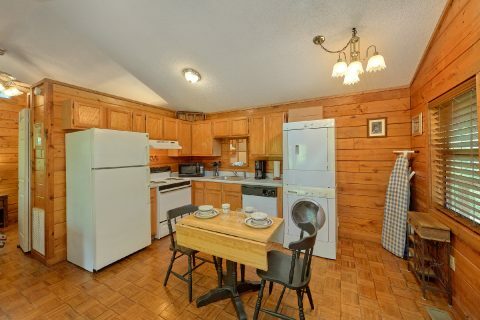 Lastly, this rental also features practical amenities like WiFi, a washer & dryer, a gas grill, and a full kitchen for enjoying delicious meals during your stay.